Why is this happening to me? She’s scaring me. What if I never feel better? What will people think? Will she hurt someone? Are they out to get me? Will he hurt himself? Why won’t they leave the house? I’m scaring myself. As much as it pains me to do it, I would like to challenge Rowling’s sentiment here. Fear can take hold of us when we least expect it, and in forms we don’t often see as fear. So rather than fearing fear itself, we are going to spend some time this week to look fear straight in the eye. The only way we can manage this, of course, is by going forth with the full armour of God. Every single one of us is called to take up the armour of God and battle against fear, despair, discrimination and ignorance. There are pearls of wisdom in God’s word when it comes to mental health, and we’re going to spend this week finding some. So two things: We have a Bible that has wisdom and teaching for us about mental health. 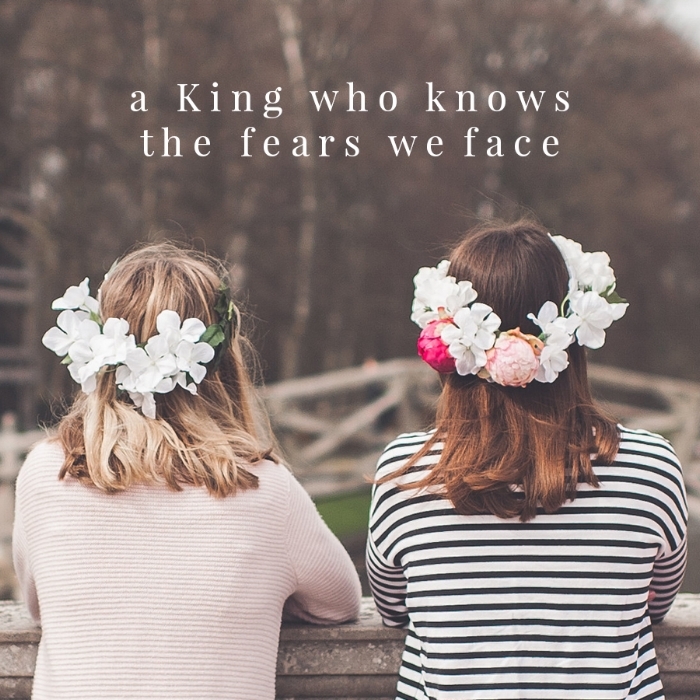 We have a King who knows what we’re facing, has stared fear in the face and felt peace. Holding onto these two things, we will brace the hard things to find beautiful truths. Abby became a Christian at 20 and serves the More Precious team as Operations Manager, as well as overseeing our mental health resources. She graduated in Psychology from Sheffield and then spent time with CCEF studying biblical counselling. Abby is now doing an MSc in Clinical Psychology in Nottingham and is passionate about helping girls to grow in the knowledge that we are all broken, but that we have the strength of Christ overflowing in us. Abby goes to Beeston Free Evangelical Church with her husband, Ben.